WASHINGTON — Pakistan and India have begun sharing intelligence on Islamic extremists, with the prodding of the U.S., in an arrangement that represents unprecedented cooperation between the two nuclear-armed South Asian nations. Washington hopes the cooperation will get a lift from last week’s Indian elections, in which the incumbent Congress Party won by a wide margin over a Hindu nationalist party traditionally more hostile to Pakistan. Frank Huzur has sent this exclusive piece for Pak Tea House from New Delhi. I’m youth, I’m joy, I’m a little bird that has broken out of the egg. These words of legendary Scottish Novelist James Matthews Barrie were ringing in the ear of Indian pollsters and Pundits with resonant frequency by the early afternoon of 16 May. The verdict over 15th Lok Sabha elections was trickling in thick and fast. Citadel after citadel, bastion after bastion of fanciful imagination was dying instant death in the shooting Mercury. 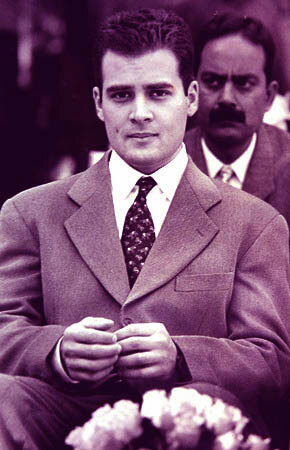 Many myths were raveling fast, and one of the greatest myth was unraveling of The Rahul Gandhi factor. The factor fast spread into a phenomenon over the next 48 hours as the Congress Party, the grand old party of India, clenched its fist over its most impressive tally in the past two-and-half-decade. Rahul Gandhi, apparently, had propelled the fledgling Congress party and its pre-poll allies to striking distance of magic figure of 272. The Congress was grinning like Cheshire cat with 206 seats in the lower house of Indian Parliament, quite a feat by any conceivable standards. 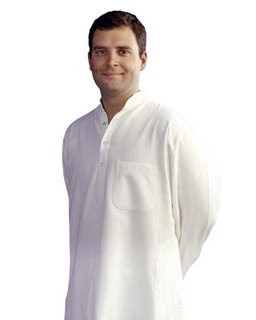 Rahul Gandhi was no better than Peter Pan with baby teeth to army of political astrologers in the rival camp of principal opposition party, the BJP and its constituent of NDA.